Engineers can connect to running trains in real time, enabling the company to figure out if a component is likely to fail, which could lead to the train being taken out of service. 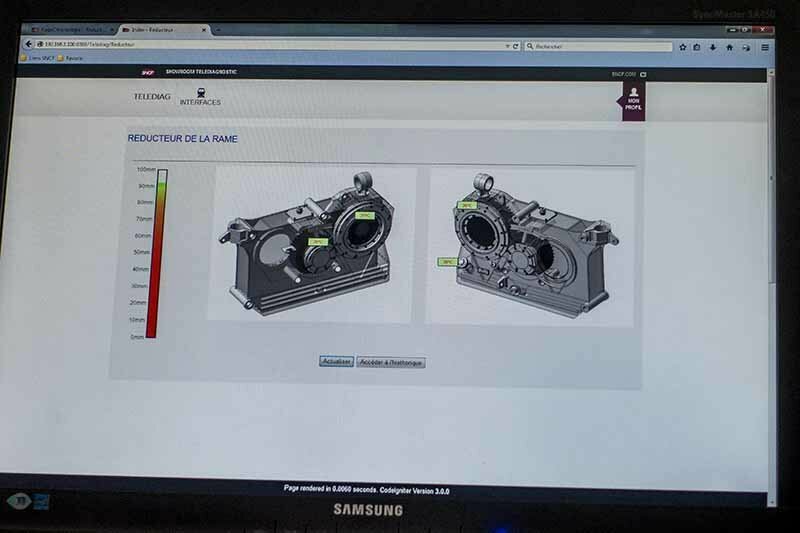 This screenshotshows the temperature and oil level data coming from a gearbox (the mechanical transmission belongs to the TGV general gearbox system). Sensors are located on the gearbox and the information is sent by GSM frequencies. The device is currently being tested.